Meet Steve More, This guy is amazing and we are so super proud to be able to share his story with you all! Steve trains with Steve D and has done since he joined Bodyfix August 2017 and what a journey it has been! I joined the gym because of a wellbeing scheme we do for our drivers every year. We gift each of them $500 to go towards something that makes them feel good, ie gym fees, golf subscriptions, dietician/nutritional consultants, etc. 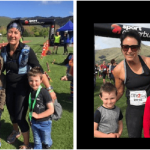 Jason who owns our Business who I might add is also a Member at Bodyfix and has been since they opened came to me and said……’Steve this is a great scheme but what are you doing for yourself? So you guessed it off to Bodyfix I went! Have you always been a fan of gyms? Absolutely NOT! When I was much younger I was quite a sports person and enjoyed the physical side of sports, I have always been interested in cycling and used to do a lot of this. As the years went by and I got busier with work and kids growing up the fitness side of things fell to the side. I am a keen lawn bowler and have spent most of my life playing bowls which we all know isn’t that physical but it is only in recent years that even with bowls you require a certain level of fitness more for the mental wellbeing. I feel a whole lot better within myself, not only that but I find myself being able to make decisions much quicker and easier. Everything seems to be clearer, this is a real advantage when it comes to working. What were bad habits you used to have but do not anymore? I have for most of my life skipped breakfast, now I realise just how important this is. So it’s rolled oats every morning now, as for other habits I have around food smaller portions are now a habit as is all the sweet things as in chocolate and chips, these are not completely gone but have certainly been minimised. Be sure the first thing you buy is a “Myzone” belt these things are amazing for keeping you on track and tracing the past. Listen to those around the gym plus if you have a Personal Trainer as hard as they push, they know what’s best. Also, enjoy the experience without putting yourself under to high expectations. I feel so thankful that I am fortunate to have Steve as my PT he certainly suits the name Badass, Steve is like another brother (you love to hate him but would miss him if he wasn’t around) he would one of the most motivated reasons why I have achieved what I have in the past 15 months. Have your friends and family noticed the difference/change in you since using the gym? 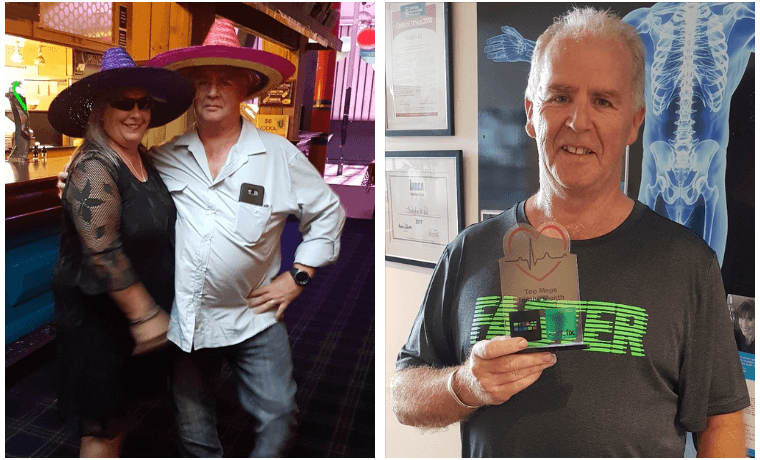 Yes, huge changes everyone has such a positive spin on how I have changed that it also motivates me to carry on with exercising, especially my wife Deb, my work colleges and Badass Steve and all of the Team at Bodyfix! What is the biggest change you have found in your health since you started? When I joined BodyFix Steve asked what I wanted to achieve which back then was my breathing, I was having issues around breathing. To be honest I never had a goal for getting to a certain weight but I knew I would be losing some weight just by coming along. 35+kg later, there have been some big changes in my breathing and all aspects of my life and all for the better.